"Friendships, connections, family ties, trust, loyalty, obedience - this was the 'glue' that held us together." These were the principles that the greatest Mafia "Boss of Bosses", Joseph Bonanno, lived by. 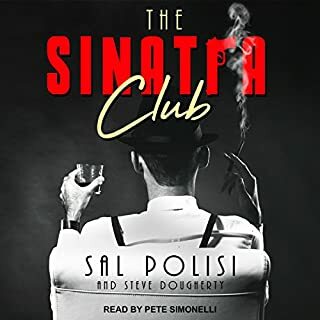 Born in Castellammare del Golfo, Sicily, Bonanno found his future amid the whiskey-running, riotous streets of Prohibition America in 1924, when he illegally entered the United States to pursue his dreams. By the age of only 26, Bonanno became a don. He eventually took over the New York underworld, igniting the "Castellammarese War", one of the bloodiest Family battles ever to hit New York City. 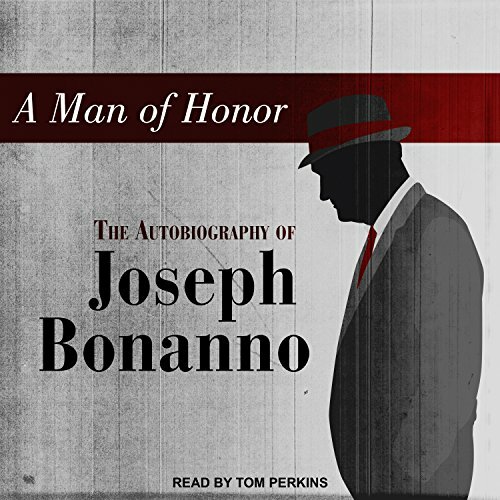 Now, in this candid and stunning memoir, Joe Bonanno - likely a model for Don Corleone in the blockbuster movie The Godfather - takes listeners inside the world of the real Mafia. 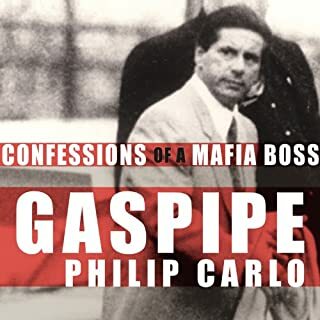 He reveals the inner workings of New York's Five Families - Bonanno, Gambino, Profaci, Lucchese, and Genovese - and uncovers how the Mafia not only dominated local businesses, but also influenced national politics. A fascinating glimpse into the world of crime, A Man of Honor is an unforgettable account of one of the most powerful crime figures in America's history. wonderful story. heartfelt and honest he gave a true confession into a life i had no clue about. This is so much more than the tale of a former mafia boss. This is an indictment on the federal authorities and another perspective of the early families from Sicily and their operations and traditions in the US. It is spoken from the heart and well worth the audio experience. very good story, well written and told. If you like to hear the way things were it is a great listen. Contained a lot of insight I didn't expect. Enjoyed hearing the story from the inside. I was spellbound throughout the entire book. Bonanno’s story provides an important insight into a history and culture of some early Sicilian immigrants. He was obviously a very intelligent and thoughtful man who possessed an understanding of the complexities of human relationships and frailties of individuals. He also seemed to have a fairly balanced view of his own strengths and weaknesses. I appreciate that he made the effort to share his story for it is certainly a story worth knowing about. I found this to be a fascinating memoir. It is written in a courtly manner and somehow manages to make the life of a Mafia Don a noble and even ethical experience. My one major gripe is the public knowledge that one of his captains was the biggest heroin dealer in mafia history. I don’t find credible that somehow this gentleman was not aware that his family was dealing in drugs that he was profiting from this Business he repeatedly describes as repugnant. Not quite what you expect from a 'mafia' autobiography, but I would say even better. 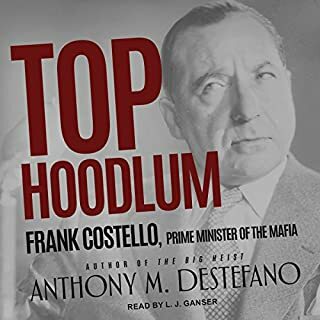 Giuseppe Bonanno’s autobiography omits repulsive details—shootings, beatings, stabbings, street muscle flexed at others’ expense—only bootlegging is admitted to. The statute of limitations never runs out on murder. Don Bananno is mum about that sort of thing. But the book contains details enough to make it interesting and worth buying. The reader comes to know the better parts of Signore Bonanno (whose name translates to Goodyear)—as much as he will reveal. Old Joe was an original New York City crime boss who helped found the underworld Commission, alongside Lucky Luciano, and the last one living from this group at the time he wrote his book. Having gone to college to be an officer in the Italian merchant marine he was certainly the best educated of them. By his lights he was the most humane, too. 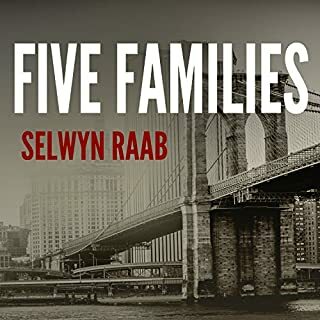 He didn’t have a gang, he writes, he had a family and he was its father. The family never extorted money, sold drugs, or ran prostitution—hence the title of his book. Hmmmm. Whatever the truth, only he alone published a narrative of a unique life Hollywood makes films about. (Luciano authorized a film about himself but dropped dead before it got underway.) 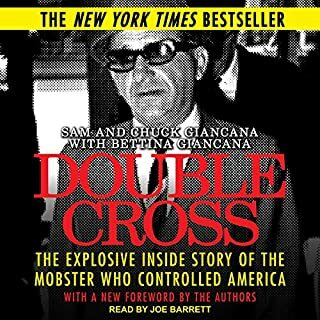 Bonanno doesn’t say he was squeezed out of the Commission by the other bosses in the late 1960s, albeit so goes the standard narrative. Instead, he writes that he already had two heart attacks and announced he wanted to leave the life. 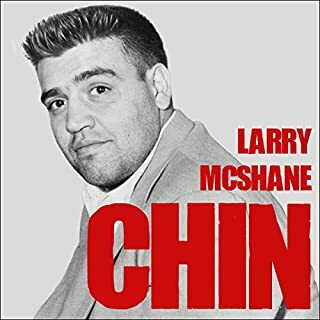 When he retired to Tucson, Arizona, he was a wealthy man from legitimate investments, but hounded for decades by the FBI They sifted through his garbage each night, seeking incriminating evidence to finally nail him. They never found any. He says there was none to find. They sentenced the old man to five years in prison just the same along with his two sons. When the government decides to diddle a guy it does it. Agents figured the Don was overdue for a diddling so they gave him one in his old age. Giuseppe’s sardonic perspective on this harassment is in the later parts of his book. Chances are the reader will develop a liking for the old gangster with a straight-forward smile even if they don’t plan to. I wonder if Rudolph Giuliani felt any warmth towards old Joe after he read his book? In any event, it’s a must read for crime buffs. Being a second generation American born Sicilian I was grateful to finally understand why we approach life the way we do. In general we tend to be loyal to the connections in our lives. Whether a spouse, employer, business partner or friend. This drives us to an undeniable need to feel responsible and help people in any way. It's often results in us viewing America in black and white terms. A remarkable book.